Urban Sketchers February Event was on Saturday and I wouldn't miss it. We met at the Town Hall steps....right in the centre of Sydney. Lots of concrete and HOT. 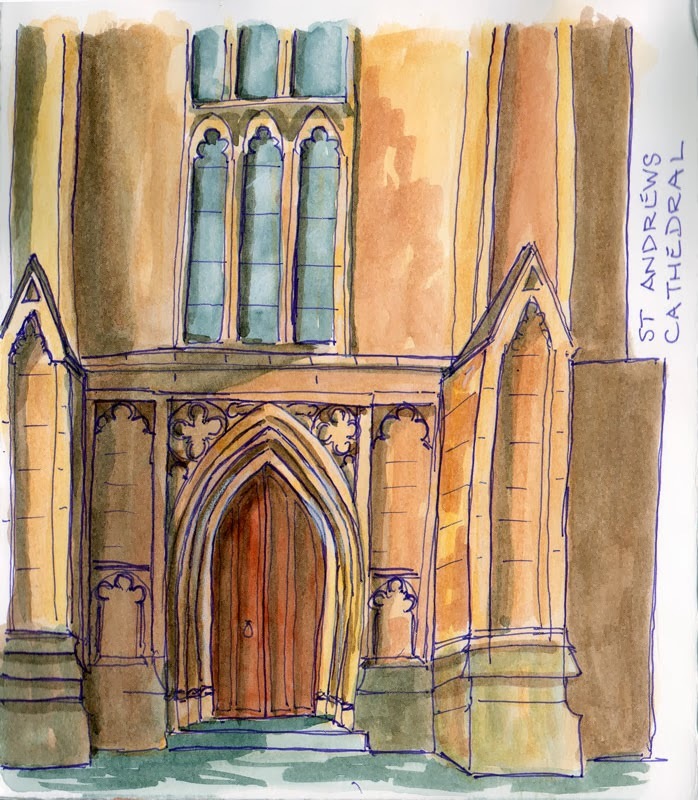 Next to the Town Hall is St Andrews Cathedral and that was what I chose to sketch first, due to the shade and my current predeliction for doors. I chose my new purple Copic Multiliner (anny opportunity) and the way it works with the sandstone colours amuses me. I guess purple is the complement of yellow ochre, or close enough. 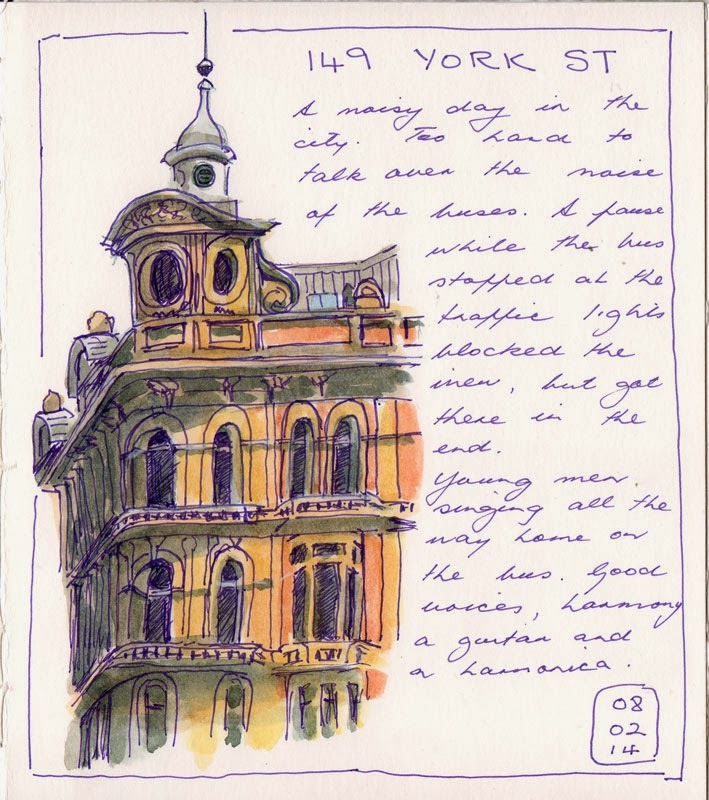 The sketch of 149 York street was done while perching on my small stool in the doorway of Citibank, shrinking back from pedestrians. Lots stopped to look, but I was engrossed. Buses hampered the sketching while they idled at the traffic lights blocking our view, then they went off with a roar. I hadn't realised how noisy the city is because I am normally not sitting in one spot with the noise washing over me. I was going for a more organic style...well, no, not exactly going for it. It seems to have taken over me.